Cumhuriyet İlahiyat Dergisi-Cumhuriyet Theology Journal, founded in 1996, aims to publish scientific research such as papers, book reviews and symposium reviews on religious studies and to share these studies with public. CUID provides articles written by qualified specialists in the area of Islamic Studies (Scope: Arts and Humanities/Religion/Islamic Studies & Scope: Social and Behavioral Sciences/ Theology and Ethics). It continues to publish compelling original research articles that contribute to the development of scholarly understanding and interpretation in the history and philosophy of religious thought in all traditions and periods - including the areas of Islamic Studies. We publish an English title, an abstract (at least 150 words), keywords (at least 5 concepts), a summary (at least 750 words), and a bibliography prepared in Isnad Citation Style for each article. 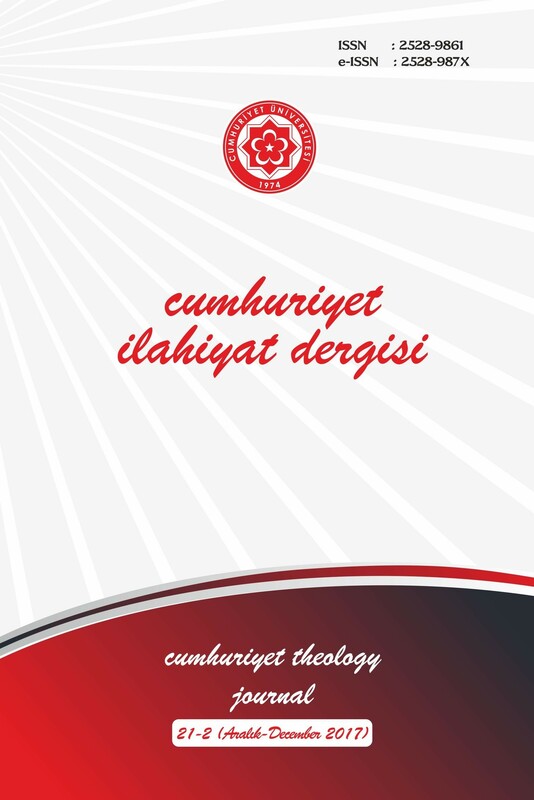 Cumhuriyet İlahiyat Dergisi - Cumhuriyet Theology Journal is licensed under a Creative Commons Attribution-NonCommercial-NoDerivatives 4.0 International License.